The new Blackbox Desktop Base Station is great for the office to work area communication! Small and powerful at 4 watts. 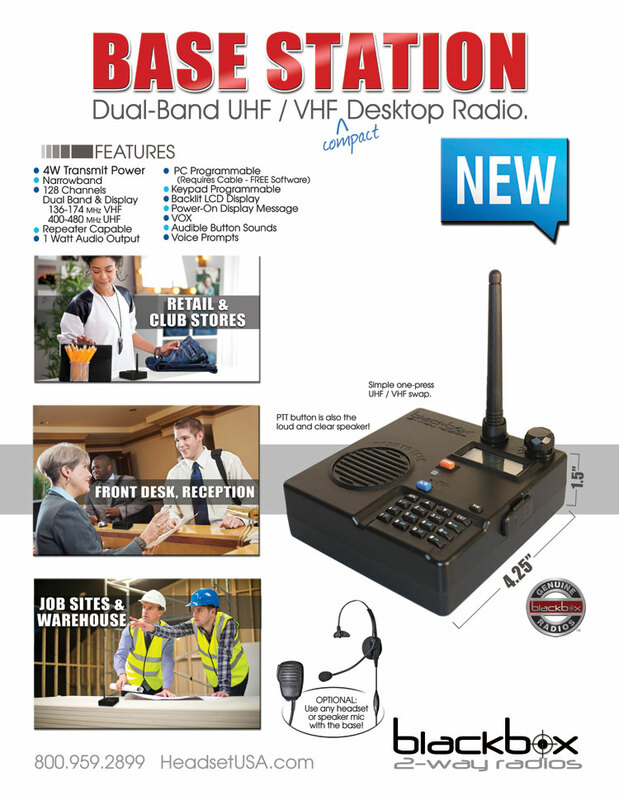 Up to 128 channels in either UHF or VHF ranges. Large built-in push-to-talk button makes installation both clean and effective. May be useed with optional Headset or Speaker Mic. Wall mounting and remote antenna options also available. Blackbox two way radio. Base station. Desktop radio. Blackbox+ Radios, Blackbox-Mobile, Director, Patriot, Veteran and Seal products have a 3 year warranty.